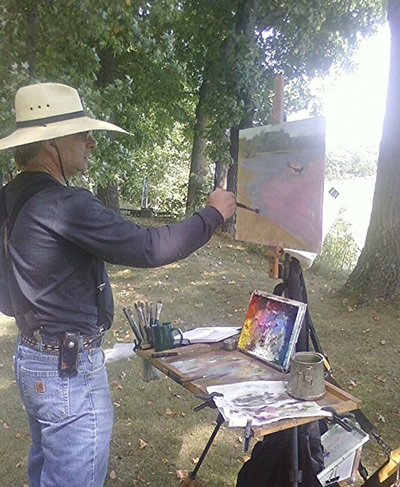 Painting "en plein aire" conjures a romantic image of artist and easel at one with nature. 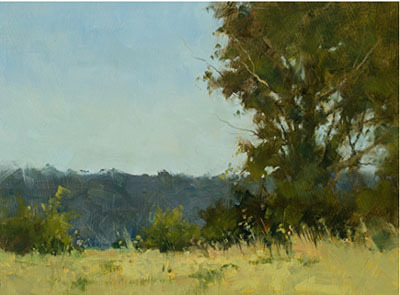 Come and explore the plein air experience at a beautiful location with nationally-recognized Plein Air Painter Derek Davis on Sat. and Sun., June 23-24, from 9am-5pm. Derek will meet you at St. Rose Of Lima Church, a picturesque limestone church built in 1878 by Irish Immigrants who came to America with only their faith and their families in search of a better life. These pioneers chose Cherry Grove Township as the perfect location to settle and begin anew. St. Rose of Lima was built by these settlers skillful hands. This building has stained glass windows and beautiful traditional landscaping, plus a graveyard and older trees. In case of rain, the building will be open. This church is approximately 30 minutes northwest of Rochester and one hour south of the Twin Cities. Each day will begin with a demo followed by 2-3 hours of painting, breaks as needed, personal coaching and afternoon painting. Each day's lessons will address one or more of the topics from the "Master's Toolbox" - depending on needs of the students. These topics include: 3 C's of painting - a systematic approach to painting; Principles and Elements of Design; Creating a Value Plan; Block-in approaches; Rendering /Drawing; Using Local and Expressive Color; Brushwork; Properties of Pigment and Using Mediums.